Fat Girl to Thin: Day 3- Hell Day!!! 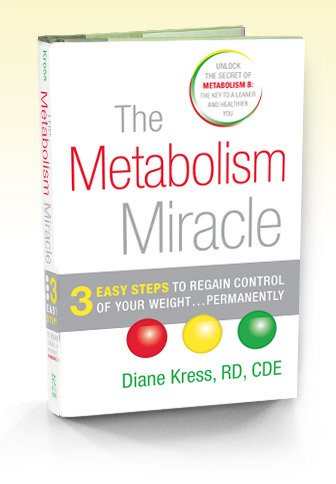 From the second I started this Metabolism Miracle (aka MM) it said the first 3 days were the worst. I believed them and was so very happy that I had not had any really bad symptoms. I thought I had this thing whipped. Then at the end of the day yesterday and today I learned why the first 3 days are the hardest. Day 2.5-3 are when people start to tempt you. Its when the universe fights back and says, "Let's see how strong you really are!?!?" So far I am fighting back with all my might but let me show you what I am talking about. Yesterday at lunch my boss offered to buy lunch for the office, Pizza! I had to politely decline the pizza as a small part of my heart died. The collection of things in my top desk drawer is really amazing. Inventory: Half a bag of baby whips, family size bottle of Tums, two slices of wheat break, white out, 22 pens, a pocket calendar, the Skittles, mild sauce from Taco Bell and Sweet and Sour sauce. envelops, honey, staples, paper clips, glasses, a toy gun and my VIP Food Lion card. I threw them in the back of my desk drawer and haven't turned back since. I think I'm going to have to give them away because there is no way they can live there for 8 weeks without me being tempted beyond my control. Then this morning I walked into work....right to the kitchen to put my healthy, carb friendly lunch in the fridge and the Marketing guys had brought not one but two trays of doughnuts. Actual tears at this moment. My only other real disappointment was my flavored water mix that I bought. I have really been craving something sweet and MM said flavored water, so I bought MIO Green Lightening. It was not good! Not good at all! So far I am still being strong. I cannot wait for day 4 so this "worst part" can be over. Apparently on day 4 the entire world knows that I am low carb and no one will ever try to temp me ever again. Now, the one real complaints I have today is the headache and hunger. I have a headache that will not quit. I have taken everything I can get my hands on to get rid of it but it just wont seem to go away. I sure hope I don't have to go home....I wouldn't do that but it sounds like such a good idea. I would just like to close my eyes and turn the lights off and I think it would go away. And the hunger...I have eaten plenty, but I cannot seem to get full today. While I was eating my mid-morning snack my stomach was growling. Really!?!?! I think it might be the anticipation of the Mexican chicken roll up in my lunch box but if that doesn't help with the hunger pangs I don't know what will. Ive been snacking on Sunflower seeds and a String Cheese. These are the Walgreens brand and they are really good! Mexican chicken, you will be in my belly in a matter of minutes!!!! Its so good I ate it for dinner last night and then cooked some more so I could have it for lunch again today! Delicious! Ok going through my desk drawer was kinda fun...whats in your top desk drawer? Can anybody beat a toy gun?!?! ?